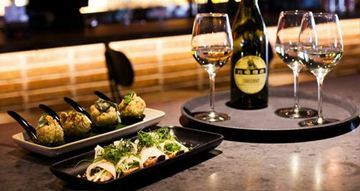 Enjoy a delicious 5 course degustation dining package at Croydon Wine & Tapas Bar. Just one step up from Cronulla's gorgeous beach, soak in the laid-back atmosphere and browse the cocktail or wine list to complete the experience.Cronulla is a beachside suburb 40 minutes south of Sydney in the Sutherland Shire. 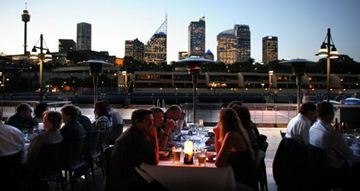 Situated above North Sydney Olympic Pool at North Sydney Aqua Dining is an elegant restaurant that offers one of the most impressive cityscape views in Sydney with views that sweep from Luna Park to the Sydney Harbour Bridge and Opera House. Combined with its refined modern Australian menu, Aqua Dining offers a quintessential Sydney dining experience. 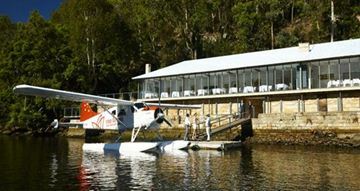 Berowra Waters Inn is located on the waters edge of the Hawkesbury River, 50 minutes north of Sydney's CBD by car or 20 minutes by seaplane from Rose Bay. Surrounded by beautiful undisturbed bushland, Berowra Waters Inn offers Modern Australian degustation dining showcasing French technique and the best produce from the Hawkesbury region. Located opposite Sydney's iconic Bondi beach, Bondi Trattoria balances well between being a casual beach cafe and an upmarket Italian restaurant. Affectionately called ‘the tratt' by Bondi locals, the cuisine is crafted with originality and attention to detail, offering simple Italian with a strong Mediterranean influence . This Bondi local is a favourite for family friendly dining with its accessible menu from breakfast right through to dinner. After a meal walk across the road to Bondi Beach for a stroll along the promenade. Boronia House Tea Room is a grand Mosman mansion dating back to 1885. Its charming Victorian heritage delights visitors and its refurbishment ensures it's the perfect venue for modern diners to enjoy the high tea it puts on daily. Munch daintily on quintessential tea party delicacies - finger sandwiches, scones and tarts - as you look out over the manicured gardens. Perched on the edge of the water in Sydney's Rose Bay, the Catalina dining room offers unobstructed harbour views coupled with exceptional food. Dishes on the seafood-inspired Modern Australian menu are beautifully cooked and presented and visitors can join the well-heeled crowd watching sea planes take off and land on the water. Catalina's kitchen remains open from midday till late. China Diner is situated a few minutes stroll to Bondi Beach with a Menu catering to all tastes – a significant vegan component, seafood, meats & of course a Kids Menu. With an ever evolving wine list, dominated by organic, natural & biodynamic wines & a succinct but strong cocktail list, it’s the perfect spot for your next date, anniversary, family dinner, corporate event or even wedding! This 150 seat restaurant also has a bar area loved by locals & tourists. China Doll resides at the historic Finger Wharf at Woolloomooloo and attracts diners with its fantastic views, elegant styling and generously portioned Modern Asian dishes. Having trouble choosing from all the exquisite dishes? Go with the banquet to sample a range. China Doll is the perfect place to enjoy the sunset, people-watching and original, Asian-inspired cocktails. China Doll delivers the ultimate Sydney dining experience for locals and visitors. It's Mad Men meets Shanghai at China Lane – an exciting new restaurant, tucked away in one of Sydney's inner city nooks. Spot the distinctive birdcage artwork located in the laneway outside before venturing inside where a 1950s-inspired fit out is revealed. The sharing menu features modern Chinese dishes $62 - $92 banquet options.